Whether the sun is beating down on a home or a rain storm is overhead, shingles will be used to protect a home from the elements. QHR - LLC Roofing & Remodeling is an industry leader in shingle replacement and installation. 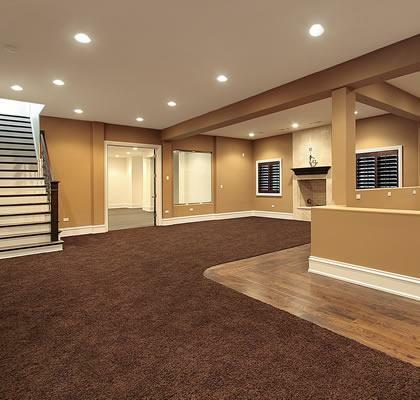 Wondering what to do with your unfinished basement? Complete this form to request a quote | A representative from QHR - LLC Roofing will respond within 24 hours. Thank you for contacting QHR - LLC Roofing & Remodeling, a representative will contact you shortly. Family Owned and Operated . . . Serving our Tri-County Neighbors . . . Since 1982! Our website illustrates your choice of products and services available for your roofing or home remodeling project. Please review the various areas to help you make an informed decision and to build confidence we are the right contractor for your roofing project. We'll make sure your home makes a striking impression, adding the greatest curb appeal in your neighborhood. Attention to detail, quality products and quality craftsmanship is key. 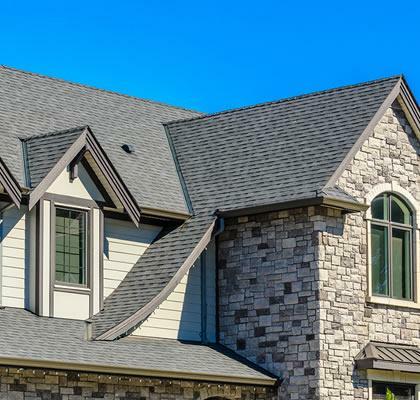 Your choice of roofing material is an important decision when protecting your home from the elements, bringing out the beauty and extending the useful service life of your roof system. Homeowners have numerous choices of products, styles and design options. There are several shingle and shingle type materials . . . Asphalt, Wood, Tile, Metal, Composite and more . . . Choosing the right contractor to install your roof is just as important as selecting quality materials. QHR - LLC Roofing & Remodeling guarantees properly trained and experienced customer service and complete satisfaction, beginning with fair pricing, unlimited choices of roofing products, styles and colors . . . continuing through the final cleanup and your approval. With so many products available, we'll help you make "Your Best and Safest Choice." We are a "full service" roofing company and we will handle everything from a new roof installation, restoration and maintenance to re-roofs and repairs. All with the assurance that can solely come with years of experience. Quality craftsmanship and design are key - and we go beyond the basics with innovative maintenance programs, extended warranties and great customer service, ensuring our customers' satisfaction and their roof's long term performance.